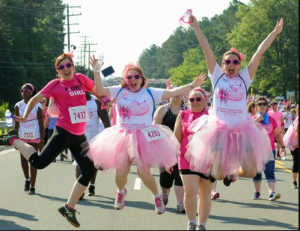 Over the 3 year history of the Frontier, one of the things we are most proud of is our partnership with the Susan G. Komen North Carolina Triangle to the Coast organization. The past two years we’ve hosted their Triangle Race for the Cure and have loved seeing the thousands of participants gather in RTP to celebrate and raise money in support of their mission: to save lives by meeting the most critical needs in our communities and investing in breakthrough research to prevent and cure breast cancer. With the perfect blend of purpose, convenience, and community, The RTP and Komen NCTC invites you to the 22nd annual Triangle Race for the Cure, which will be held May 5th from 7:30 a.m. to 12:00 p.m. at The Frontier campus. 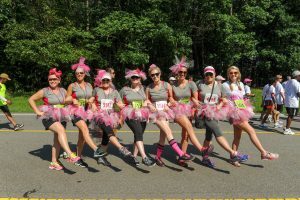 Complete with a recreational and competitive 5k, survivor celebration, food trucks, beer garden, and a family fun zone, this is the family and friends event you’re looking for. 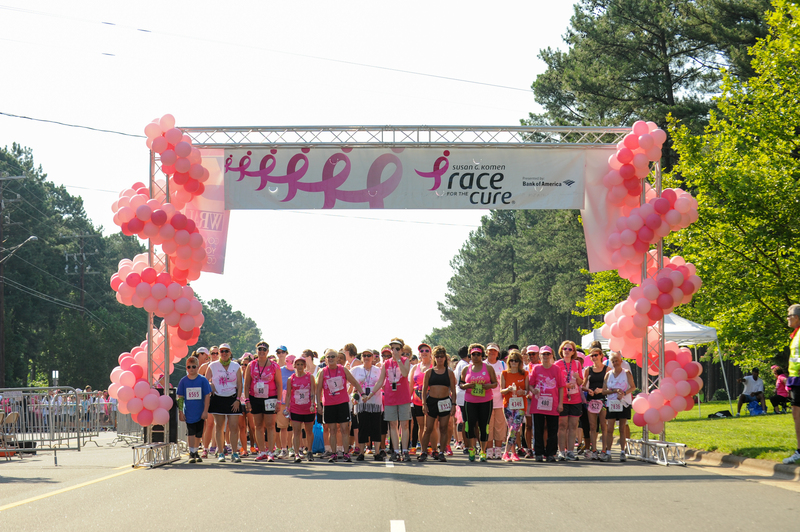 Participation in the upcoming race benefits those affected by cancer right here in the Triangle and throughout central and eastern North Carolina. Using 75 percent of their net funds, Komen invests in community health grants that provide vital resources to their 29 county service area. The remaining 25 percent goes toward Komen’s National Research Program, which continues to fund groundbreaking research right here in North Carolina. 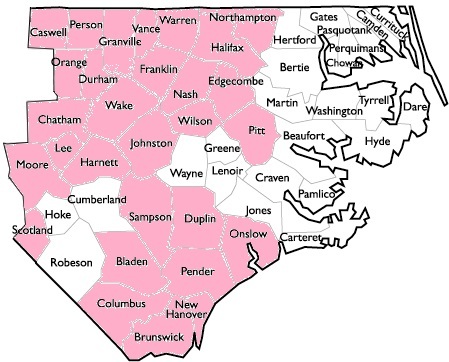 The Triangle is anchored by its colleges and universities, and since 1996, Komen has awarded $41 million in North Carolina research grants to The University of North Carolina at Chapel Hill, Duke Cancer Institute, and North Carolina Central University. The Komen research team is constantly investigating ways to increase the number of survivors locally and globally. In 2018, 32% of Komen’s research portfolio is focused on metastatic breast cancer (MBC) research. It is estimated that there are over 145,000 individuals living with metastatic breast cancer in the U.S. and MBC accounts for nearly all of the 40,000 breast cancer deaths annually. More than $180 million is dedicated to providing funding for prevention, early detection, and treatment. 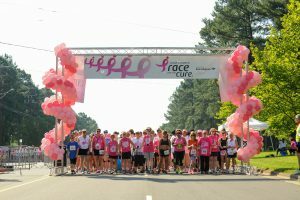 This year’s goal is to raise $1 million at the 2018 Triangle Race for the Cure. 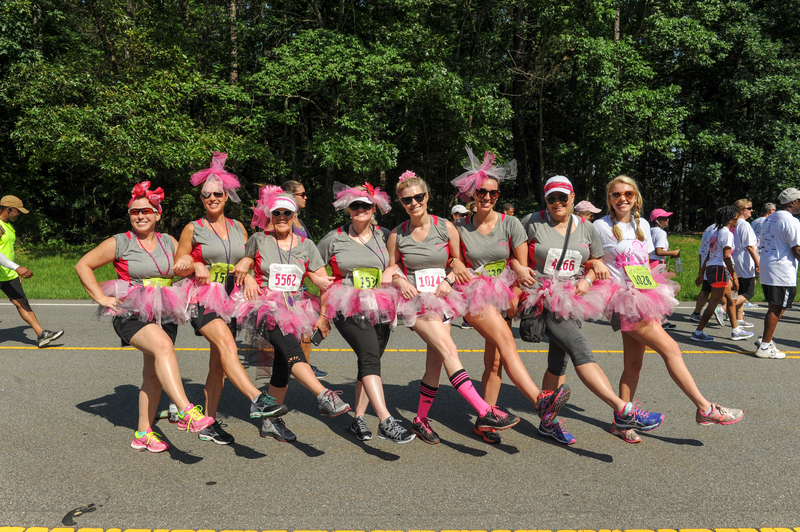 Supporting Komen North Carolina Triangle to the Coast means investing in the lives of those both battling and surviving breast cancer, and helps to accomplish their national Bold Goal: to decrease breast cancer mortality in the U.S. by 50% by 2026. Komen North Carolina Triangle to the Coast is extending a $5 discount to The Frontier community. To register, use Frontier2018 at checkout to get $5 off now through April 14. This code can be used to join The Frontier team or register as an individual. We hope to see you there!